Keeping in mind the diverse requirements of our esteemed clients, we are engaged in offering a wide range of Non Stick Kadai all over the country. The complete range of our products is made up of top-grade base material which is very different from the products that are available in the market. 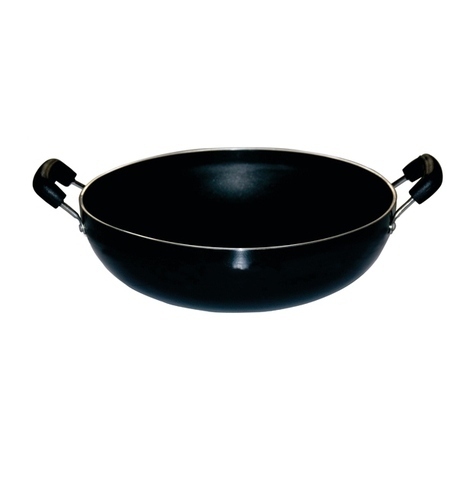 This Non Stick Kadai is available at affordable prices in the market. Athithan Appliances established in the year 2011, at Chennai, Tamil Nadu, (India) as Partnership Firm. Our company is the leading industries of Plastic Kitchen Equipment, Aluminium Utensil, SS Cooking Utensil, Kitchen Equipment, Electric Fan, Non Stick Cookware, Kitchen Utensil and many more. Our company is also engaged in providing Kitchen Interior Design Service. The main objective of the firm is to satisfy the customers by providing the supreme quality products services. Through great consumer’s feedback, we are pioneers among the companies. With the support of the effective supplier base, our all goods are of the best quality and are available at reasonable prices. While selecting, them, some important measures are to be considered like, their client support, financial standing, planning, quality and delivery format should verify, then only the raw materials are purchased from them to generate the commodities. Thus, in assistance of the qualified staff and advanced tools, all functions are done in an appropriate manner which help us to remain in this cut throat place last longer.